Brand produces a modern-day classic. The 2019 Dodge Challenger SXT is part of the group of muscle cars that have led to the renaissance of the segment. Muscle cars have a durable appeal that survived the shift to Asian and European imports despite the reputation for quality problems that seemed to hover over American-made cars for years and even the ongoing shift away from passenger cars generally to utility vehicles and light trucks. Moreover, in an era when electric and autonomous vehicles are threatening to remake the automotive landscape, American muscle cars have gone through something of a renaissance with the re-emergence of cars such as the Chevrolet Camaro, huge upgrades to the Ford Mustang and the splashy revival of Dodge Challenger and Dodge Charger. Even with its lonely two doors, the Challenger, with its eye-catching exterior design and powerful V8 engine, could well be the epitome of the muscle-car revival. But the rebirth not only includes a sleek, sophisticated remake of the of the exterior sheet metal and a more efficient version of the traditional V8 but also a complete overhaul of the running gear that makes the ride and handling much better. 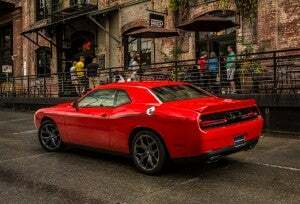 As I drove the 2019 Challenger, I could not help but think that the improvements to the ride and handling on all kinds of surfaces and under all kinds of conditions have added a whole new dimension to the capability of this iconic two-door. 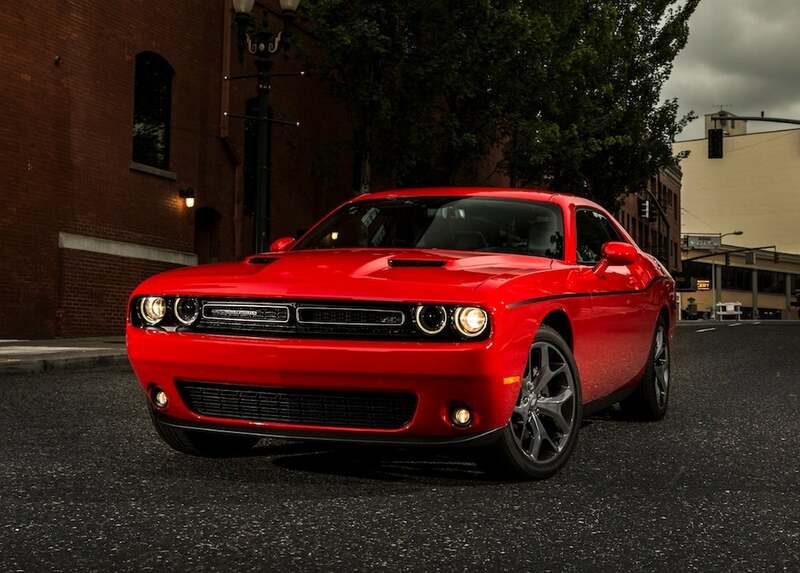 The Challenger SXT offers a slew of upgraded safety technology for the driver. The improvements have made it safer and easier to handle under all kinds of road conditions. In addition, the 2019 Challenger also is equipped with the latest safety equipment including substantial brakes, more accurate steering and even driver assistance features, such as blind-spot detection, are now available. In addition, the Challenger is also available with connectivity and Bluetooth to make it easier for an owner to stay in touch with work, family and friends. The 2019 Challenger also now has push-button start and can ordered with features such as a heated steering wheel, heated seats and a smart key. I’ve been the Woodward Dream Cruise and I’ve even served as a judge for “Best in Show” contests linked to the Cruise so I know people lavish a lot of love and affection on the Challenger from the late 1960s and early 1970s. The unlike the exterior, the interior of the new Dodge Challenger bears little resemblance to its relatives from the '70s. 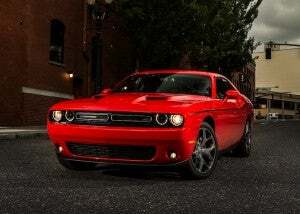 But the latest version of the Challenger can run rings around the older models, which had plenty of power but so-so brakes, suspension and steering when compared to the contemporary cars coming from Fiat Chrysler Automobiles, which is now responsible for the Dodge heritage – now spanning more than a century. Despite the shortcomings of the muscle now considered classics, FCA’s designers have embellished 2019 Challenger. They’ve highlighted the car’s broad shoulders, air scoops on the hood, distinctive rear lighting scheme and low-slung silhouette. In the process, they’ve turned the current car into an icon and the basic design has influence that shape of vehicles right down to the present day. The classic lines of the new two-door Challenger, distinctive exhaust notes that come from a powerful engine and surprisingly comfortable interior that efficiently utilizes a nice blend of trim pieces and textures to give the cabin a more contemporary feel inside without getting in the way of the design’s overall simplicity of cabin’s overall design. 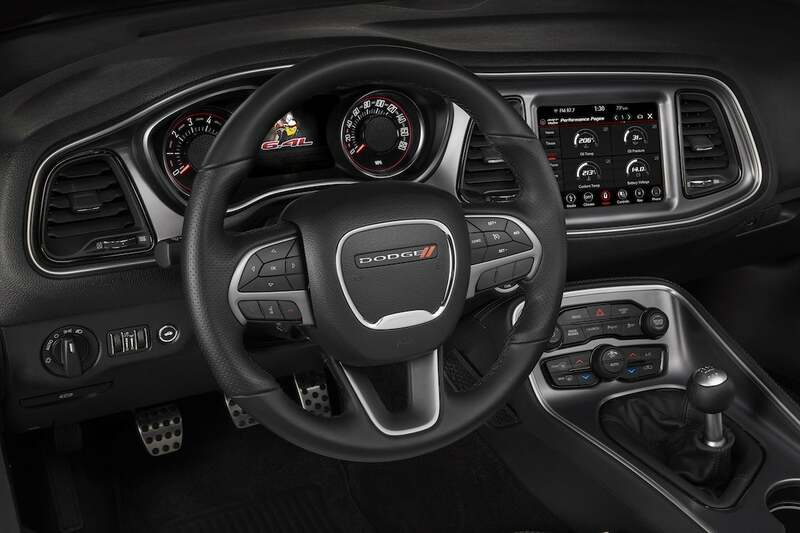 This entry was posted on Tuesday, March 19th, 2019 at and is filed under Automakers, Automobiles, Dodge, FCA, First Drive, Markets, Muscle Cars, Reviews, Safety, Sales, Technology, U.S./North America. You can follow any responses to this entry through the RSS 2.0 feed. Both comments and pings are currently closed.